I can’t get both EarPods to connect at same time ,one connects then the other disconnects,I have returned the EarPods and was sent the same ones back so I’m still having the same problem. Looked good on paper, standby time, price and sound quality etc but found it a bit disappointing battery life is just over an hour sound quality a bit tinny and buzzing between tracks suppose you get what you pay for. Whilst I realise that they are very cheap the quality of sound is terrible, there is a constant buzzing in the background, and battery life is less than an hour. Good as a gimmick but not serious earbuds. The Groov-e Bullets I bought previously are far superior in all respects and the same price. Had 2 sets sent to me . First pair - only one bud would charge & that ran out of charge after 1 hour . Presume bud was fully charged ( left to charge all night on one occasion) but still no blue fully charged light . Second Pair - both buds worked but they couldn’t be paired when charged, so could only use one at a time. Same issues with charging lights , one bud stayed red & the other one light went off but didn’t go blue . 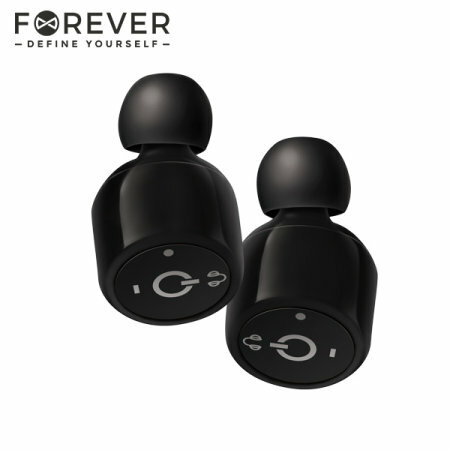 The ear buds are very compact and that is the best thing that can be said for them. the instruction say that charging is indicated by a red LED and full charge is indicated by a blue LED and it will take approximately two hours. After one hour the red LED goes out after two and a half hours still no blue LED. The instructions state the buds should last about three hours but no the most I got was 40 minutes. The instructions regarding pairing the buds are also incorrect . they state they are ready to pair when the LED flash red and blue. No flashing LED. I did get the buds to pair with an iPad (not sure how they just started working) but not with a mac book. overall these are not worth the money , I was not expecting high quality but I did expect that they would charge and pair with other products, obviously I was mistaken. I bought two sets of these as gifts, but decided to try them out after the lat time I bought something from here (smartwatch - it was dreadful). They felt cheap and flimsy out of the box, and the 'function switch on the first set refused to work unless pressed really hard. Pairing them according to the instructions failed (what red and blue flashing LED? ), so tried the second pair. After 10 mins of button pushing they eventually paired with each other, and then another 5 minutes to try and get them to connect to phone - success! Only to find that f I turned my head one of the buds went quiet intermittently. And as for the sound quality - two tin cans and a bit of string might be better! So all in all, poor quality, rubbish instructions, and very average sound (if they work at all).On the plus side - nice display box. We ordered 2 sets of these ear buds one set worked ok but they got very hot when in use the other set crackeld and the sound broke down making them useles. I contacted customer service and they helped resolve the issue. Customer service very good ear buds not so good. Small, no tangly wires, awesome sound and easy to connect. Simples - these are one of the best investments I have ever made. Bought this item ... faulty charging lead, so i was sent another one, free of charge ... also had a faulty charging lead. suspect it's a design full with this package. if you buy, expect to buy a different charging lead at some point.